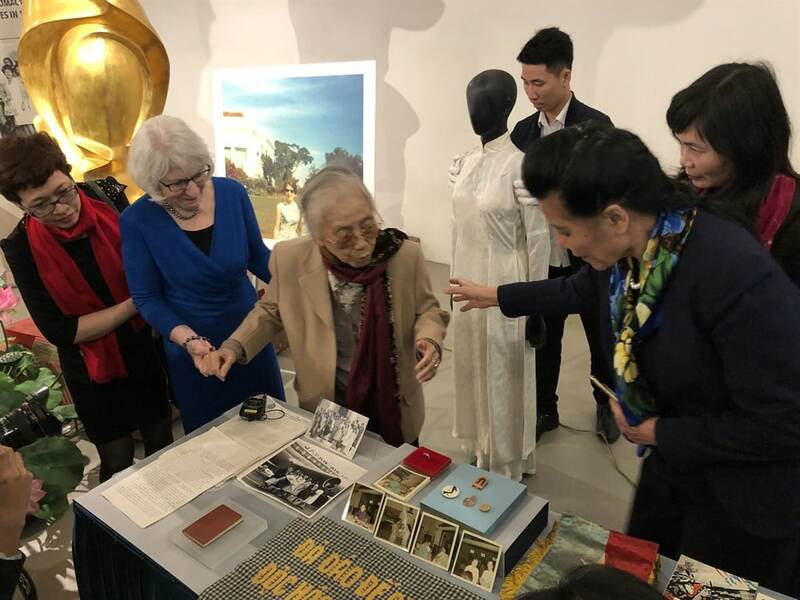 American lawyer Nancy Hollander recently handed 450 documents, photographs and other memorabilia concerning the first meeting between the Vietnamese Women’s Union and the U.S. Women Strike for Peace Organisation in Jakarta in 1965, to the Vietnamese Women’s Museum. Hollander is the only surviving American to have attended the meeting. Vân Hương spoke with her at the hand-over ceremony. I had these documents for 50 years. I kept them all in a box. Whenever I moved, the box moved with me. 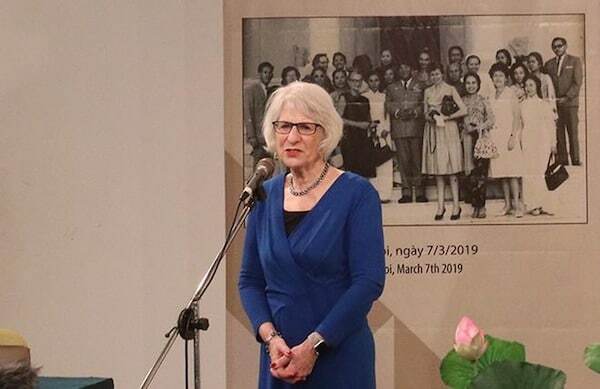 And I always wanted them to come back to Việt Nam, not to stay in the U.S. Only recently was I able to find Lady Borton, who helped me bring them here. I was very happy that they finally came here. This was the very first meeting of American and Vietnamese women organised by the Vietnamese Women’s Union and the Women Strike for Peace and it was a meeting of peace, a chance for the American women to learn what was happening in Việt Nam, of casualties, women and children being killed, and to go back to the U.S. to tell other people why they should be striking against the war. That was why we went to learn first hand how devastating the war was in Việt Nam. I think these documents are extremely important. Most people don’t remember this time in history. This is a very young country. Many people here were not alive during the war. And it’s important to see what diplomacy can do. And I believed then, and I believe now that the students’ movements in the U.S. contributed to the end of that war. I think the war would have gone on longer without the work we did. And I think that the work that the Vietnamese women did of being willing to meet with the American women even though our countries were at war was very significant. People now need to see how people working together, women working together can bring peace in a very difficult time. The scarf was particularly important to me and the information that I learned in the journal was most important. Because that’s how I was able to go back and talk to other Americans and explain what was really happening because you understand that we were not told in the U.S. what was really happening in Việt Nam. 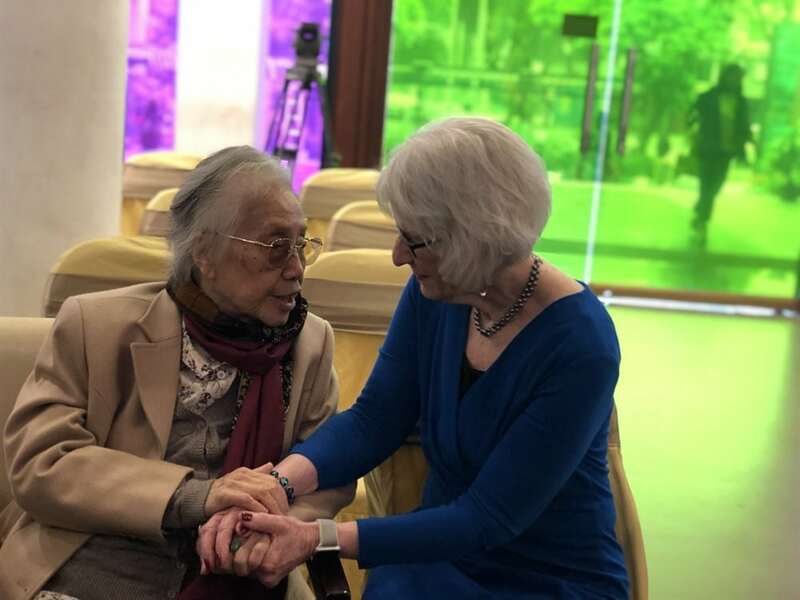 Old friends: Nancy Hollander (right) meets former Vice President Nguyễn Thị Bình in Hà Nội on March 7. They are the only two surviving members of the delegations that met in Jakarta in 1965. VNS Photo Lê Hương. 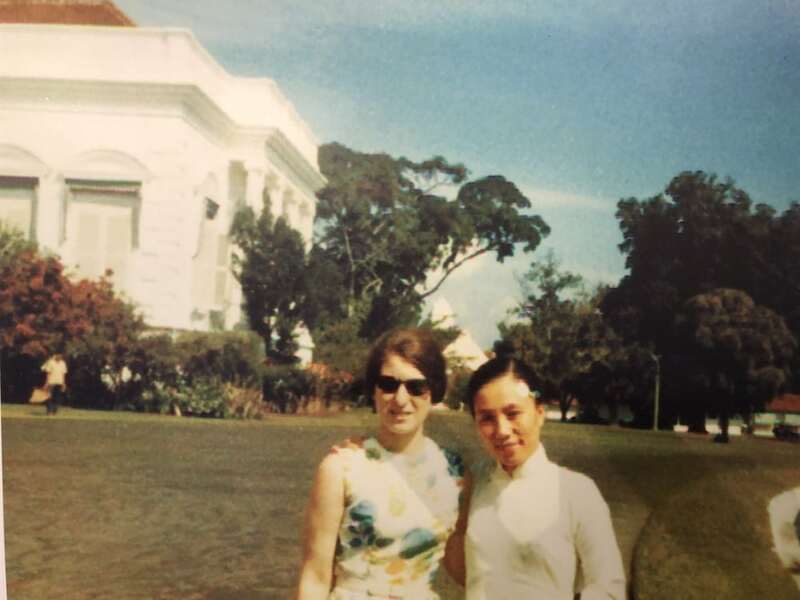 Special snap: A photo of Nancy Hollander (left) and Madam Nguyễn Thị Bình in Jakarta in 1965, which is among objects that Hollander gave back to the Vietnamese Women’s Museum on March 7. For the last 40 years, I have been a lawyer and I represent people who are accused of crimes in the U.S. and internationally. Inner Sanctum: What do you think about the current relationship between Việt Nam and the U.S.? My understanding is that Việt Nam and the U.S. have a very good relationship. I was here about 20 years ago and the relations were good then and now they’re even better. I think Việt Nam has shown that it is a very strong country built by very strong people, men and women. They must be very proud of Việt Nam’s place in the world today.